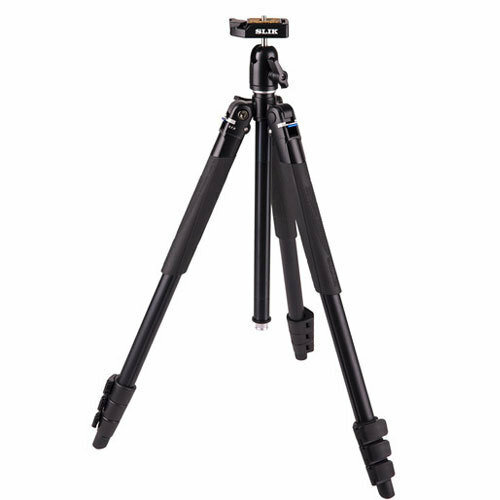 Hunters looking for a full size travel tripod capable of supporting up to 4.4 lb with an over 5' height will appreciate the Lite AL-420 Tripod with LED Center Column Flashlight from Slik. The flashlight is useful for setting up gear in low light. 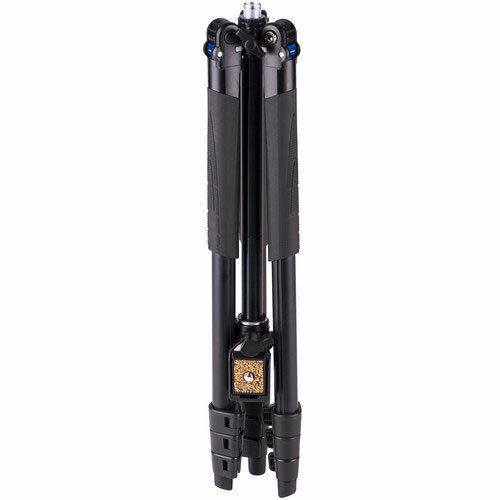 It is stored in the center column of the tripod, operates on 2, included AAA batteries, and may be accessed by removing the included center column cap. At only 2.2 lb, the 4-section AL-420 offers a height range of 6.69 to 60.3", and a folded length of 16.9". For compact storage and faster use, the AL-420 features a flip open/close leg inverting mechanism. 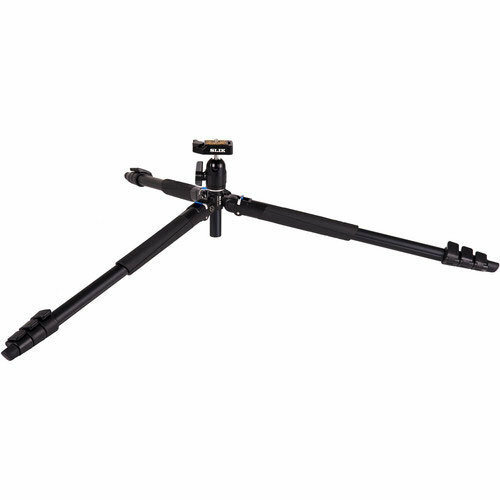 Your tripod is equipped with a ball head, quick release plate, and comes with a storage case. Aircraft-grade aluminum construction insures low weight, strength, and durability.